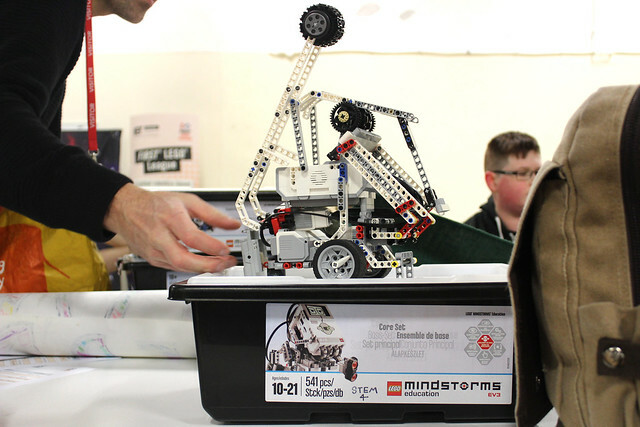 FIRST® LEGO® League is a global science and technology challenge for teams of students, to encourage an interest in real world issues and develop key skills that are crucial for their future careers. The students work together to explore a given topic and to design, build and program an autonomous LEGO® robot to solve a series of missions. Year 8 student Ellis, was part of one of two teams from Plymouth School of Creative Arts, organised by computing teacher Angus Reith. The tournament was hosted by City College Plymouth. Here Ellis tells us about the day.